Donkin mine, the first underground coal operation in Canada’s Cape Breton in 15 years, can process all permitted production on site as its handling, preparation and processing plant is now operational. Kameron Coal’s mine, which began production in March, is expected to generate between 350,000 and 450,000 tonnes this year, ramping up to 1.2 -1.8 million tonnes in 2018, and 2.6 to 2.75 million tonnes of saleable coal in 2019, Halifax-based Morien Resources (TSX-V: MOX), which has a royalty on coal production from the mine, said in a statement. Donkin is is expected to generate between 350,000 and 450,000 tonnes this year, ramping up to 1.2 -1.8 million tonnes in 2018, and 2.6 to 2.75 million tonnes of saleable coal in 2019. 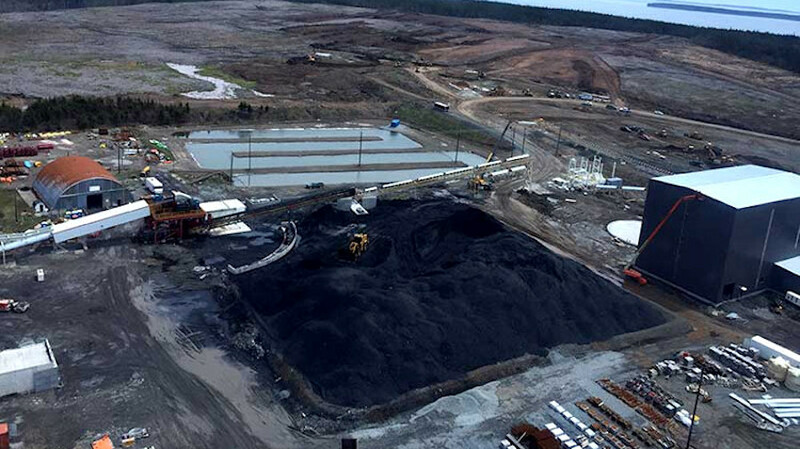 Current coal production is being stockpiled on site, and trucked and stored up at the Provincial Energy Ventures port in Sydney, Cape Breton, for export, Morien said. Originally proposed for development by the long-gone Cape Breton Development Corp., Donkin has gone through a number of owners in recent history – Xstrata, Erdene, Morien, Glencore, and now Cline Group’s affiliate Kameron. US-based Cline Group gained full control of the Donkin Mine in 2015, after purchasing a 75% majority stake in the operation from Glencore and 25% from Morien, which owns a gross production royalty of 2% on the first 500,000 tonnes of coal sales per calendar quarter. Last month, the mine attracted some negative media coverage after a report showed it had already received dozens of warnings for safety violations. According to CBC News, which obtained relevant documents under freedom of information laws, from March to August the mine received 10 compliance orders and 29 warnings for safety infractions. The news brought back sad memories to locals, which still remember the 1992 explosion at the Westray mine, in Plymouth, a small town of Nova Scotia, which killed 26 workers. Donkin Coal management has repeatedly said that, unlike in Westray’s, safety at the operation is a top priority.